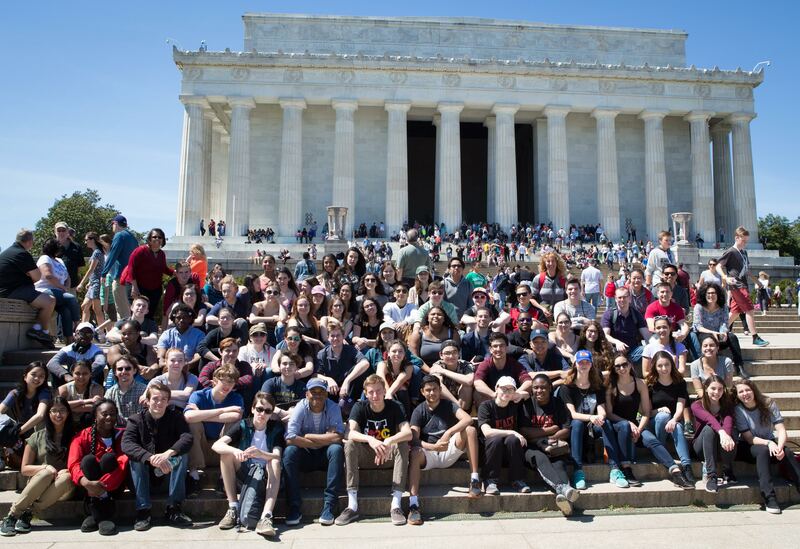 On April 6-9, Nyack High School joined with other selected high school music departments throughout the US to compete at the WorldStrides OnStage Music Festival held in Washington DC. It gives this writer great pride to announce to our readers that one of Rockland’s School Districts, in this instance, the Nyack School District, has achieved national recognition in winning numerous music awards at this fesitval, including the overall Sweepstakes Award given to the highest scoring school district that submits at least three ensembles! Nyack’s largest entry, the Nyack High School Chamber Orchestra was ranked first place amongst all competing chamber orchestras with a gold rating plus earned the Outstanding Orchestra Award as well as the Adjudicator Award and an invitation to the Festival of Gold. The NHS Jazz Ensemble, the NHS Advanced Chorus and the NHS Women’s Vocal Ensemble also achieved a Gold Rating. The NHS Wind Ensemble also shined, achieving a Silver Rating. Individual awards, called Maestro Awards, were give to Coby Petricone Berg for his alto saxophone solo and Matthew Suffern for his vocal bass in the Advanced Chorous. Not to be forgotten in the list of credits for this successful venture is the staff of music teachers as well as the Music Department Chairperson Matthew Lucero, who, in addition to other muisic teachers and parents, joined the students in Washington DC to assure their security and safety.